The self proclaimed “Definition of Definition”… Double D has turned many heads in Pro Wrestling Mid South. 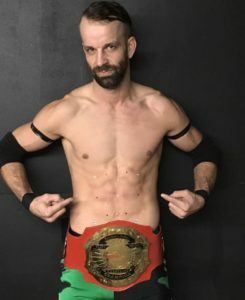 The former Southern Junior Heavyweight Champion is looking to forge a legacy all his own in professional wrestling. Many female fans are disgusted at his chauvinistic ways but his talent is undeniable.